This page on censorship in Physics is here to show people that there are serious problems in getting new knowledge published in Journals (particularly if it contradicts current paradigm of 'particles' and 'fields', where it is just assumed that particle / wave duality is insolvable, waves are just 'probability waves', etc.). The particular example I have used relates to problems that Nobel Physics Laureate Brian Josephson had in getting articles published. But the problem is endemic and applies equally to philosophy. I suspect the Internet is changing how new knowledge evolves into society - time will tell how much this changes the system (we live in hope!). Below you will find a good article from Nobel Physicist Brian Josephson, followed by an example of the nonsense that does actually get published in the Physics Archive. At the end there are some good quotes on censorship / resistance to new ideas which make us realise that this is not a 'conspiracy', it is just human nature, and many great minds of the past have experienced the same problems. Some 'reader complaints' have come in regarding preprints posted to the archive by Drs. Einstein and Yang. Dr. Einstein, who is not even an academic, claims to have shown in his preprint that mass and energy are equivalent, while Professor Yang is suggesting, on the basis of an argument I find completely unconvincing, that parity is not conserved in weak interactions. What action shall I take? Abject nonsense! Just call up their records and set their 'barred' flags to TRUE. And here's a letter from one 'Hans Bethe' supporting an author whose paper we deleted from the archive as being 'inappropriate'. Please don't bother me with all these day to day matters! Prof. Bethe is not in the relevant 'field of expertise', so by rule 23(ii) we simply ignore anything he says. Just delete his email and send him rejection letter #5. The first portion of the above exchange is fictional of course, but might well have happened had Einstein and Yang had dealings with with the physics preprint archive arXiv.org, administered by Cornell University, today. The second part is not fictional. The web site archivefreedom.org has been set up to document experiences that innovative physicists have had in dealing with the archive's secretive operators, and here is my own story. I have been fortunate in that, unlike the other physicists involved, I may well be permitted to post preprints to the archive at this time, though this proposition has not been put to the test. I was however, very briefly, on the archive's blacklist myself for doing things that displeased the operators, who permit contact with them only anonymously via the alias 'moderation@arXiv.org'. (I must immediately apologise for using the word 'blacklist': the organisation finds the term distasteful, saying 'that is your term -- we have no blacklist'. Let me therefore say instead that, for a brief period, a flag was set in my archive record to ensure that in the future when I logged on to deposit a preprint, I would find myself barred from carrying out the required procedure. Technically, they are right of course: a blacklist would be represented on the server as a one-dimensional array listing the members of the list, and setting a flag in one of the fields of an array is not the same at all, if one is being pedantic. So I was not, strictly speaking, on a blacklist, but the fact was, nevertheless, that I could not upload my preprint to the server at that time). What I did in response was to write to the administration saying there seemed to be a 'system error', and would they mind correcting it? Back came a message saying it had been corrected and I could then upload my preprint. Was there really a system error? I think not: Paul Ginsparg, the inventor of the archive, does not make programming errors. I assume the archive operators got together and decided that barring a Nobel Laureate from depositing papers in the archive would create a bad impression, and they decided it would be best to reinstate me. My first deposition on the archive was a straightforward affair: I went through the registration process, logged on as a registered user, uploaded my paper, and at the designated time it was transferred by the operators to the public area of the archive. What happened next, some time later, was that someone emailed me a copy of Edmund Storms' "Cold Fusion, an Objective Evaluation". It seemed to me that this threw new light on cold fusion, suggesting it might after all be a genuine phenomenon. I corresponded with Storms on a few points I thought needed clarification, and was satisfied by his replies. I felt that his review deserved a wider audience, and suggested that he post it on the preprint archive. Some time later I asked him what had happened, and he said that he had been refused registration as he did not have an academic address. He had recently retired from LANL (Los Alamos National Laboratory) and no longer had his lanl.gov email address, and it seems that the archive's rules at that time barred posting privileges people in such a position, which one might well think rather curious, since many scientists continue to do good work after they retire. Be that as it may, I looked though the archive's pages and found that it was possible to recommend a person for registration. I did this but got no response (afterwards I was told that had my email not gone astray, it would have made no difference 'since my expertise was not in the right area'. This is a typical ploy used by the archive people to fob people off: understanding Storms' review requires only elementary physics in which most physics graduates would be competent). Since I got no reply to my recommendation of Edmund Storms I asked him if he was willing for me to try posting his paper on the archive myself, and he agreed to this. Strictly speaking, this process was not allowed but I thought I'd try it anyway. It appeared to work: a message came back from the server saying that the paper had been deposited successfully. I was sent an id and password for the paper so I could check it would appear correctly before going public. Then a problem became apparent: I got back a message saying I was not the owner of the paper concerned. I sent a message to enquire about this, and got back this message: The submission was removed as inappropriate for the cond-mat subject area. ... we are always thrilled to hear when people find an avocation that keeps them off the streets and out of trouble. A talk in an Electrical Engineering Dept, by someone who does not have a Physics appointment, on work that is not publishable in Physics journals does not suggest that the subject matter is appropriate for this resource. We regret that we do not currently have a section for Electrical Engineering. This was a bizarre comment to make, since Hagelstein is leader of a project on quantum electronics, and has had a number of papers published in journals such as the Physical Review. But I had come to recognise by that time that whoever was writing to me under the alias moderation@arxiv.org had minimal interest in genuine correspondence, and appeared to be motivated primarily by the goal of frustrating anyone who dared to object to the archive's procedures. And my 'punishment' for challenging the archive was, I assume, being blacklisted (correction, having a flag set to bar me from posting to the archive in future). As already noted, my posting privileges were restored after I had asked for the archive's 'system error' to be fixed. I successfully posted my paper (arxiv:physics/0312012) but then found it had been moved from hep-th, the section to which I had posted it, to physics, a section with less stringent policies. There is a procedure whereby people can arrange for their submissions to be cross-posted to other sections so as to be listed in those sections as well. I found that my paper was barred as 'inappropriate' for any section except general physics. This I find objectionable: I believe I am at least as capable as whoever considers himself responsible to decide which areas my work impinges upon. The archive is run along the lines of a secret society / classic bureaucracy. As noted, all communication (except with the librarian who is officially in charge of the archive) is with people who write anonymously under an alias. Letters to Paul Ginsparg, the person who set up the system, are met with the response that he is not responsible for the day to day running of the system. Cornell's President made a formal complaint to Ginsparg, and relayed back the message that one should contact the librarian, whose role seems to be to generate one of a set of bland responses such as thanking one for one's interest in the archive, the information that the archive's procedures are under revision (a process that seems to be even slower and drawn out than the processes of Cambridge University administration), or being 'comfortable with our policy that the contents of arXiv conform to Cornell University academic standards'. As regards standards, many incorrect ideas appear in the archive, while those individuals targeted by the archive's operators (see https://archivefreedom.org/casehistories.htm) have had papers barred from the archive even when they have already been accepted for publication by refereed journals. Correspondence with the librarian has revealed that 'reader complaints' can form the basis of permanent barring from depositing papers in the archive, the person concerned not being told anything about the complaint so as to be able to answer it. Bearing in mind the fact that new ideas often seem strange, it is clear that the 'reader complaint' mechanism is liable to act as a process for preventing the communication of new ideas. A number of Cornell physicists have tried to break through the archive's defenses on behalf of barred individuals, but achieving a fruitful outcome has eluded them. It is often stated by the archive's operators that there are 'alternative fora' for making new ideas known. This ignores the practical fact that arxiv.org is a far more effective way of doing this, and is in effect the primary way by which new ideas get communicated within the physics community since it is the place that the majority of physicists who do use preprint archives turn to. It is true, of course, that standards should be maintained. But the problem with the uninspired persons who operate the archive is that they seem unable to make the distinction between 'nutty' ideas (which either have no scientific meaning or contain serious errors), which should be barred from the archive, and unusual ideas which may or may not be right, and also may turn out to be important, which should be allowed on the archive. Abstract: Recently, black hole and brane production at CERN's Large Hadron Collider (LHC) has been widely discussed. We suggest that there is a possibility to test causality at the LHC. We argue that if the scale of quantum gravity is of the order of few TeVs, proton-proton collisions at the LHC could lead to the formation of time machines (spacetime regions with closed timelike curves) which violate causality. One model for the time machine is a traversable wormhole. We argue that the traversable wormhole production cross section at the LHC is of the same order as the cross section for the black hole production. Traversable wormholes assume violation of the null energy condition (NEC) and an exotic matter similar to the dark energy is required. Decay of the wormholes/time machines and signatures of time machine events at the LHC are discussed. Censorship at the Physics Forums https://www.physicsforums.com/ - This is a copy of a post that I replied to at https://www.physicsforums.com/. I don't think my reply was that bad given the criticism the Wave Structure of Matter received. However, when I went back to add a further comment, I found that I was BANNED for life from the physicsforums - the reason given was "crackpot" - and the post was deleted. I wrote to them asking for an explanation and have received no reply (funny about that!). And since then I have posted twice using new accounts. Each time my posts have been deleted and I have been banned. I wonder what people think of this form of censorship at the biggest physics forum on the internet? If you are like me and think this is wrong - please post at their forum and tell them so. A few relevant / interesting quotes on censorship in physics / resistance to new ideas (added by Geoff Haselhurst). 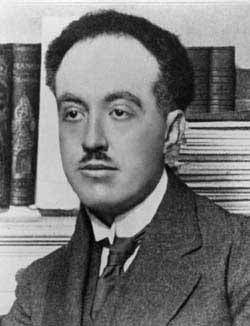 (Louis de Broglie) The history of science teaches that the greatest advances in the scientific domain have been achieved by bold thinkers who perceived new and fruitful approaches that others failed to notice. If one had taken the ideas of these scientific geniuses who have been the promoters of modern science and submitted them to committees of specialists, there is no doubt that the latter would have viewed them as extravagant and would have discarded them for the very reason of their originality and profundity. As a matter of fact, the battles waged, for example by Fresnel and by Pasteur suffice to prove that some of these pioneers ran into a lack of understanding from the side of eminent scholars which they had to fight with vigor before emerging as the winners. More recently, in the domain of theoretical physics, of which I can speak with knowledge, the magnificent novel conceptions of Lorentz and Planck, and particularly Einstein also clashed with the incomprehension of eminent scientists. The new ideas here triumphed; but, in proportion as the organization of research becomes more rigid, the danger increases that new and fruitful ideas will be unable to develop freely. Great spirits have often encountered violent opposition from weak minds. (Max Planck) A new scientific truth does not triumph by convincing its opponents and making them see the light, but rather because its opponents eventually die, and a new generation grows up that is familiar with it. (Charles Darwin) Although I am fully convinced of the truth of the views given in this volume I by no means expect to convince experienced naturalists whose minds are stocked with a multitude of facts all viewed, during a long course of years, from a point of view directly opposite to mine. But I look with confidence to the future to young and rising naturalists, who will be able to view both sides of the question with impartiality.